Read about how teachers are using Flipgrid to reinvent learning in their classrooms. The days of students silently working independently from textbooks at desks neatly arranged into perfect rows are long gone! In today’s classroom, you’re more likely to see students standing or sitting together around tables or huddling on the rug, gesturing and talking excitedly, drawing diagrams on tablets, sketching ideas on whiteboards, or gathered around computers. Collaborative learning is a 21st-century skill that is at the top of most districts’ curricula. When students work collaboratively, they become involved in a process that promotes cooperation and builds community. New ideas are generated as students give one another feedback. Collaboration creates a culture that values every student’s strengths and an environment that believes that everyone can learn from one another. 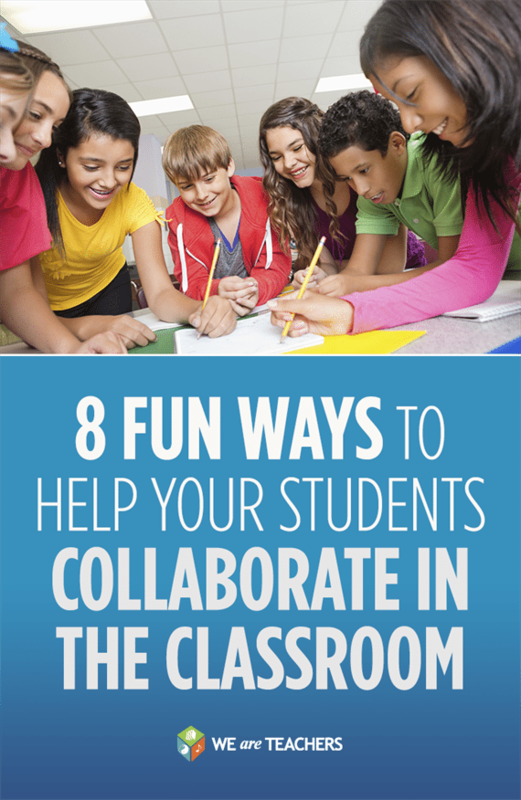 Here are eight great activities and tools to foster an environment of collaboration in your classroom. 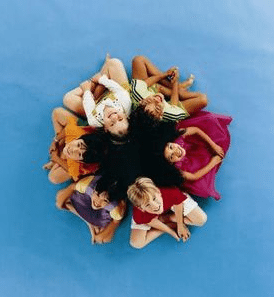 We’ve all witnessed the group activity where the students with the strongest verbal skills or personalities end up taking over the conversation, crowding the rest of the students out. Teaching your students how to have meaningful conversations by introducing the rules of collaborative conversation and giving them specific language to articulate their ideas is a valuable investment. These sentence stems from TeachThought are just the ticket for providing the scaffolding necessary so that all students can receive the level of support they need in order to be successful. 2. Dive into a Fishbowl! Fishbowl is a teaching strategy that lets students practice being both speaker and listener in a discussion. How to do it: Form two circles with student desks, one inside the other. The conversation begins as kids on the inside circle of the Fishbowl respond to a teacher-provided prompt. The first group of students asks questions, expresses opinions and shares information, while the second group of students, on the outside of the circle, listens carefully to the ideas presented and observes the process. Then the roles reverse. 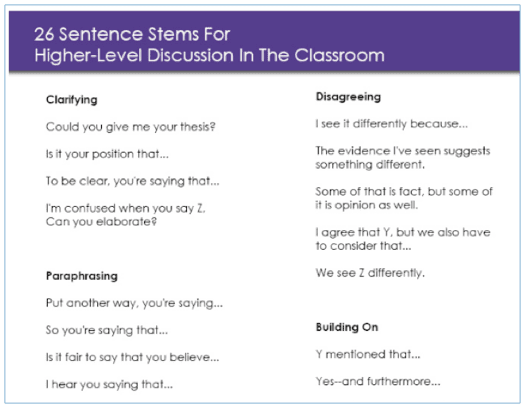 This strategy is especially helpful for modeling and reflecting on what a “good discussion” looks like, for making sure that no one is left out of the conversation, and for providing a structure for discussing controversial or difficult topics. Check out this link from Facing History and Ourselves for a step-by-step explanation. 3. Give everyone a moment in the spotlight! Put your students’ affinity for selfies to good use with Flipgrid, a simple yet powerful tech tool that allows students to express themselves creatively and amplify their voices. Teachers create grids with topics of discussion and students respond with recorded videos to talk about, reflect, and share via webcam, tablet, or mobile device. Talk about active, engaged learning! 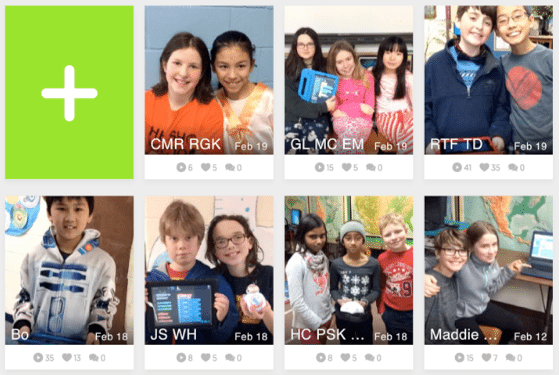 Check out this blog for inspirational stories of classroom learning using Flipgrid. And read this article to learn more about how the six C’s of 21st-century learning are an intrinsic element of the Flipgrid experience. Collaboration doesn’t necessarily come naturally to students. It is something that requires direct instruction and frequent practice. One of the best ways to train your students to work collaboratively is through game playing. 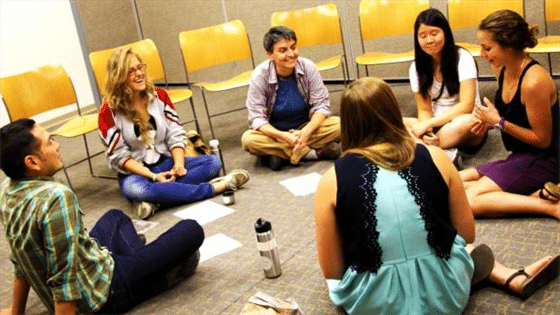 Cooperative classroom games help students become critical thinkers, learn to work with one another and establish a positive classroom environment. The best part? Kids have fun while developing these skills! Check out these ideas from TeachHub and TeachThought. Brainstorming is a common element of collaborative learning. But sometimes a brainstorming session only results in the easiest, loudest, most popular ideas being heard, and higher-level ideas never really get generated. The general principle of brainwriting is that idea generation should exist separate from discussion—students write first, talk second. When a question is introduced, students first brainstorm on their own and write down their ideas on sticky notes. 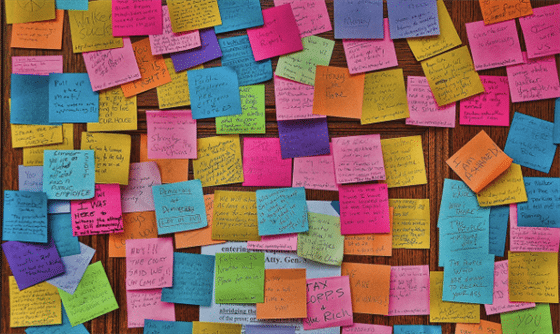 Everyone’s ideas get posted on a wall, with no names attached. The group then has a chance to read, think about and discuss all of the ideas generated. This technique provides a level playing field for the best ideas to surface as students combine, tweak and come up with original, higher-level solutions. 6. Save the last word! Tap into your students’ visual skills with a fun strategy called Save the Last Word for Me. How to do it: Prepare a collection of posters, paintings and photographs from the time period you are studying and then ask students to select three images that stand out to them. On the back of an index card, students explain why they selected this image and what they think it represents or why it is important. Divide the students into groups of three, labeling one student “1,” one “2” and the other “3.” Invite the 1s to show one of their chosen images and listen as students 2 and 3 discuss the picture. What do they think it means? Why do they think this image might be important? To whom? After several minutes, the 1 students read the back of their card (explaining why they picked the image), thus having “the last word.” The process continues with student 2 sharing and then student 3. 7. Make homework a team sport! Our kids are always on their devices anyway, so why not harness the growing phenomenon of social networking to actually help them learn, study and do homework, as opposed to getting in the way of it? 8. Zoom in on the details! 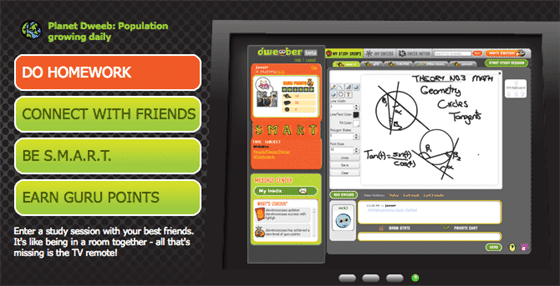 Zoom is a storytelling game that is a classic classroom cooperative activity. It gets kids’ creative juices flowing and allows them to not only tap into their own imaginations but create an original story together. What are your best strategies for encouraging collaboration? Tell us in the comments.